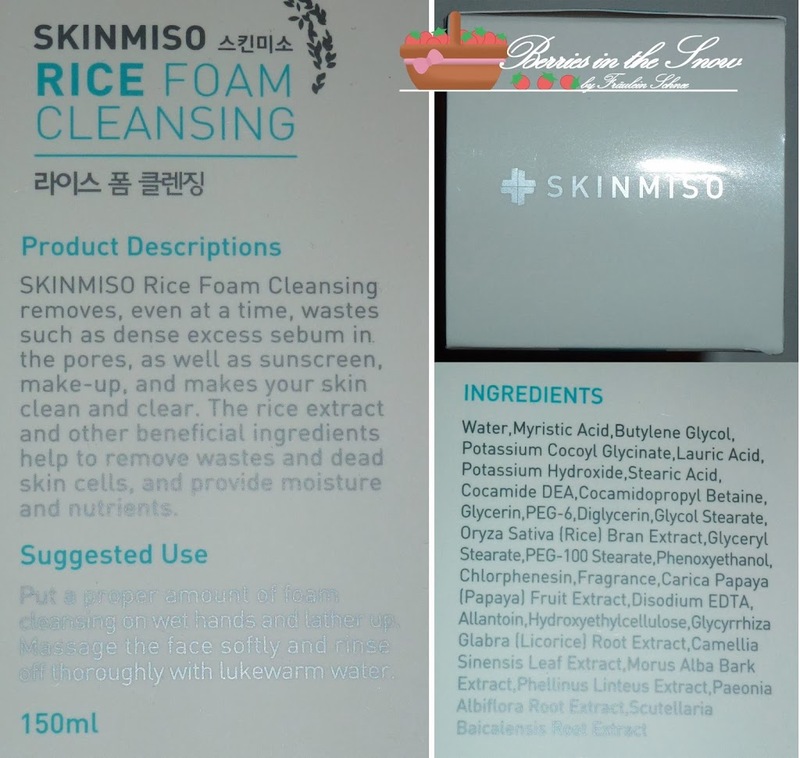 Here is another foam cleanser I’m using at the moment: Skinmiso Rice Foam Cleanser. I’m always curious about skincare products containing rice ingredients, since rice is well known for its skin benefits. This foam cleanser is claimed to be the best facial foam cleanser by Wishtrend, where you can buy it. The packaging is simple and looks very clinical. It gives the impression of being a medical product. Indeed, the product description says that it contains many natural ingredients derived from plants, so it should be beneficial for the skin. The best facial cleansing foam ! 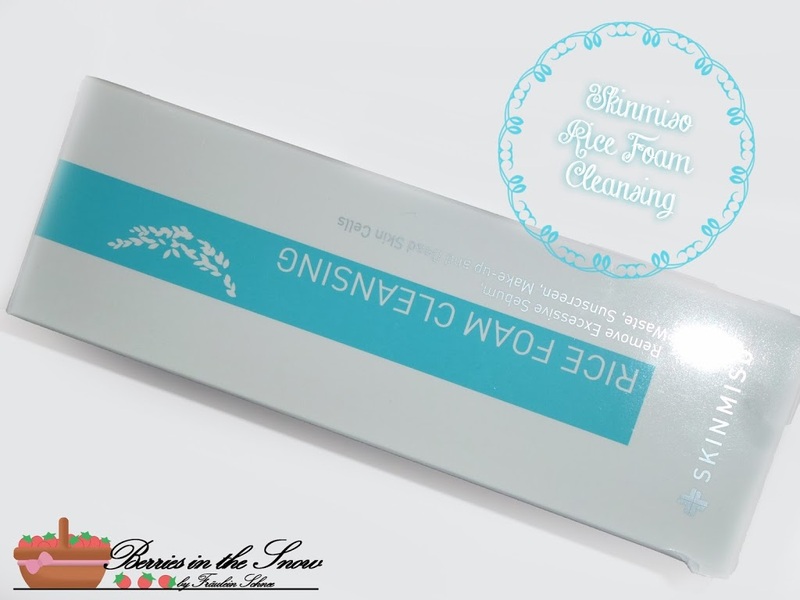 SKINMISO’s Rice Foam Cleansing is the best facial cleansing foam ! It uses many natural ingredients derived from plants so that the product is not harmful to your skin. It effectively removes dirt, dead skin cells, and makeup from your skin all while keeping your skin moisturized by regulating the sebum-water balance ! Removes dead skin cells, excess sebum, and cleans deep into pores. 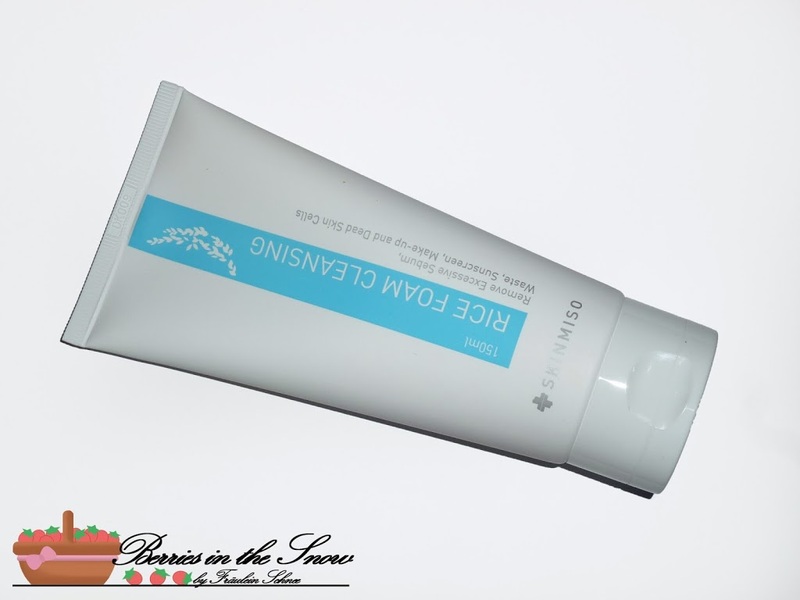 Effectively removes sun block, BB cream, and other makeup !The fine yet rich lather of this facial cleansing foam has great capabilities to effectively remove all types of makeup that has built up on your skin during the day. Regulates skin’s sebum-water balance and nourishes for clear skin !Rice extract included in this facial cleansing foam serves as a great regulator of sebum-water balance. It also adds much needed nutrients to your skin. Plus-10 Patented Complex !This patented complex is comprised of the 10 ingredients found in nature. This formula increases elasticity of your skin and is also a great antioxidative agent. People who have excess sebum secretion. People who have dead skin cell build up on their skin. People who have dull looking skin. People who are concerned about their whiteheads and blackheads. People who want clean but not dry skin. People who want an effective facial cleansing. It lathers into a fine and rich foam. If I use my new Konjak Sponge I only need a tiny amount and I get enough foam already. I think it will be the same if you use a cleansing brush. The cleansing effect is also good. It cleanses reliably make-up. The skin feels clear and soft afterwards and also a bit brightened up- which is probably the effect of the removed dead skin cells. For very dry skin: don’t forget to use moisturizer afterwards, because it is not leaving your skin moisturized. But that’s with almost all foam cleansers. I think this cleanser will work great on oily skin, because of the sebum reduction effect it claims to have. Since I have dry skin mostly, I cannot judge this part. I’ve been using this foam cleanser for 4 weeks now and it didn’t give me any irritations or breakouts. 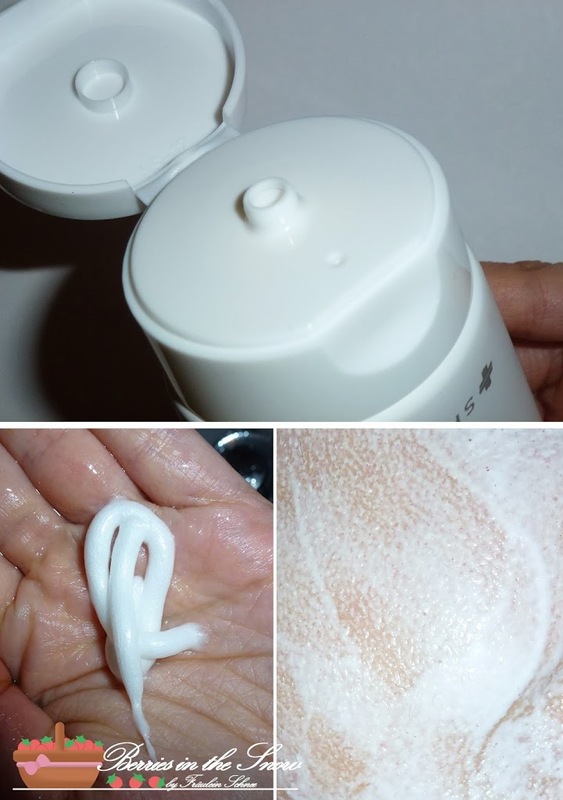 If you are curious about this foam cleanser you can have a look at Wishtrend’s online store. It is available for US$ 12.99. At the moment it is available with free shipping as far as I know. If you’ve never ordered at Wishtrend you’ll get a one-time free shipping voucher upon registration. Thanks so much for sharing this review! I added your give-a-way banner on my blog’s side bar. I never saw this product before, looks like a nice product I never bought before on Wishtrend but is very popular, looks like a nice store. Thanks for your review sweetie! I never used any rice ingredients product either, and this one seems to work really well for you. Love the packaging and looks like great results–thanks for the review! I really enjoy your blog so far and would love to follow each other–please join my GFC and I’ll follow you right back! Clean but not dry? Sounds like a product for me. xD I’ve heard rice is great for the skin, too. It is really a nice cleanser, but I use my moisturizer afterwards anyways :D But I’m happy it doesn’t dry out like some foam cleansers I tried before (Tonymoly’s Floria Foam cleanser was for example really bad in that point). 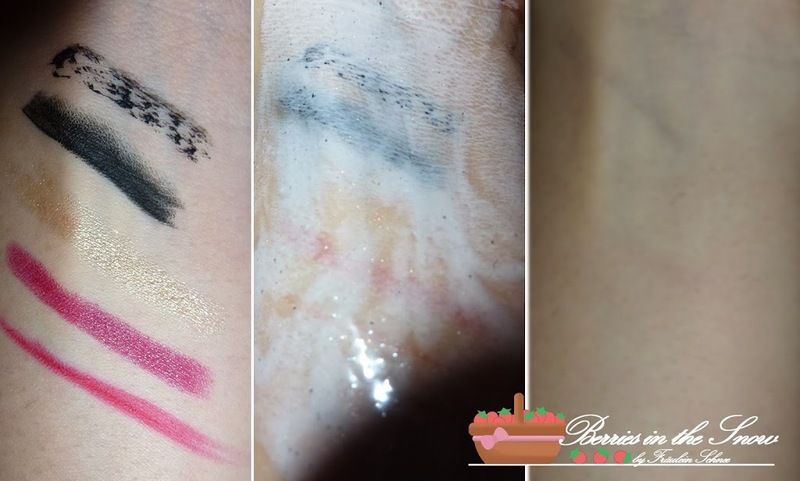 Although ingredients with fruits, rice and etc. are a hype at the moment, I’ve never tried any of it before. The product seems be worth the money, the fact that it doesn’t breakout your skin is a good sign. :) Thank you for the review! This seems soo great. I am fascinated about this product. Interested in following each other ? thanks for commenting. Of course we can follow each other.